Palma and Majorca offer some great diving sites for beginners or experienced divers including Palma caves and Palma wrecks. Together with a a number of diving schools in and around Palma there are also a couple of unique opportunities available such as diving with sharks in Palma Aquarium or try the PETER diving system. see below for further details. Dive with sharks is aimed at people with a diving license - a unique opportunity you can’t miss ! This takes place in the aquariums “Big Blue” tank , which is the deepest shark tank in Europe at 8.5m deep, 33m long and holds 3.5 million litres of water. 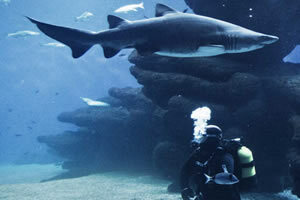 Along with a Palma Aquarium instructor visitors can swim with 11 sharks as if they were in the sea. Duration of activity: Approx. 1 hour. Ever dreamt of diving but don’t want to go through the hassles of awkward diving equipment and expensive courses? If you can already dive, imagine what it would feel like to dive without all that heavy equipment attached to your back ! This system makes diving accessible to everyone, especially to children and families. The new advanced solution that bridges the gap between snorkelling and scuba diving. Enjoy this unique diving experience without the need for any previous experience or certificates. 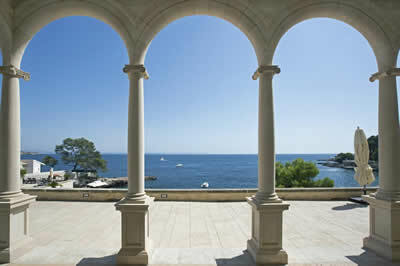 There are 5 locations where this is offered the closest to Palma is only 15 minutes central Palma. 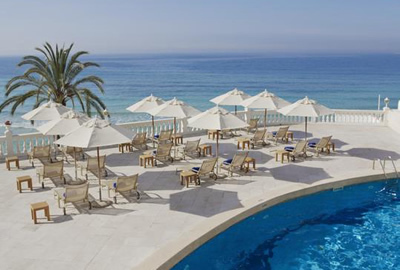 This scuba diving school is integrated into a hotel which is built into the rocky Illetas cliff line (about 6 miles west of Palma centre). In the summer they use a shuttle bus to carry divers from their Palma hotels to the diving centre and back. 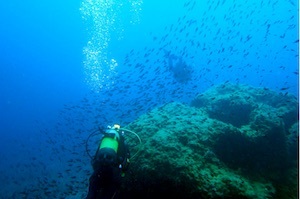 The diving centre is situated right by the sea and has a beautiful house reef shore dive with a depth of 65 feet (20 m). Here we find a lot of fish who like to be fed by the hotel guests. Affiliated to PADI and offer daily diving excursions and daily beginners diving courses. The west coast of Majorca offers a variety of good diving spots like the wrecks in front of Palma harbour, or the little islands and rocks all along the Bay of Palma. Situated in “El Dorado” (Tolleric). 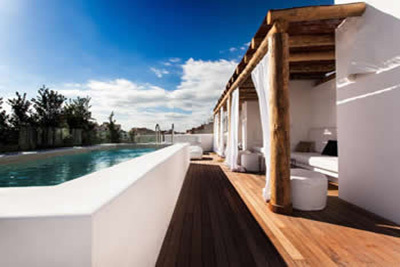 30 minutes drive or 16 miles South East of Palma city centre. Their facilities include equipment for 30 people, a car park for 4 vehicles, showers, changing rooms, classrooms for courses and a 7.5 metres long inflatable boat, with seating capacity for 12 people. A British owned and operated PADI 5 star full service dive centre and scuba school in the beautiful town of Puerto Pollenca in the north east of Mallorca. 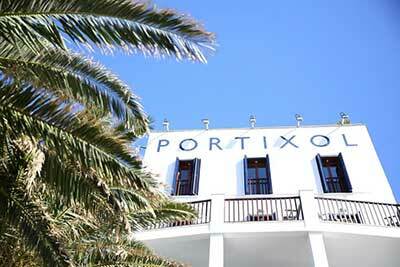 (40 miles / 1 hour drive from Palma). 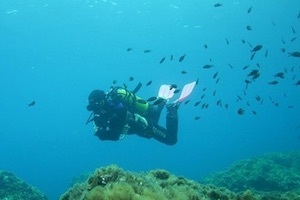 They offer a full range of diving adventures from absolute beginners and kids to daily boat dives for qualified divers. If your aim is to become a diving professional, they can also assist you with a PADI Instructor Development Courses which are held regularly.